ROCOL is proud to announce the successful achievement of AS/EN 9100. 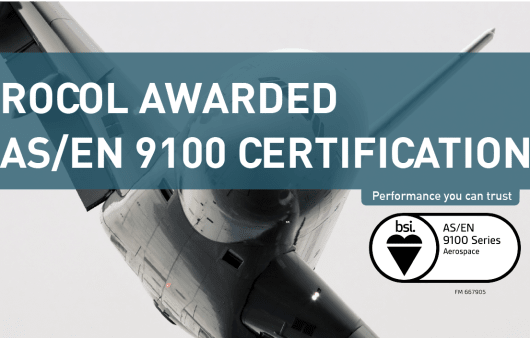 AS/EN 9100 is the internationally recognised Quality Management System (QMS) specifically developed for the Aerospace, Aviation and Defence industries. It takes the ISO 9001 requirements and supplements with additional quality system requirements, which are established by the aerospace industry. This latest certification demonstrates ROCOL’s continuous appetite to constantly improve our quality systems, processes and service to our customers. Steve Allen, Quality Manager said:“AS/EN 9100 is only awarded to companies that are able to consistently demonstrate compliance to the highest Aerospace specific quality standard throughout the complete business. We are delighted that ROCOL is now recognised to this high standard”.